Just heard from the awesome performers at Mercedes Benz – it seems the Olympics was not the only event for record-breaking performances in July. Mercedes-Benz Middle East & Levant have clearly taken the gold in a flurry of best ever sales results. New records include a marathon 10 consecutive months of double digit regional growth, with year to date (YTD) sales up 16% on 2011. Regional distributors in Abu Dhabi, Bahrain, Kuwait and Qatar also celebrated from the top of the podium with best ever July country sales as well. I agree that I have not yet tested the bigger cars in the Mercedes Benz line up but the new records are testament to the success of Mercedes-Benz Middle East and Levant’s ‘Year of the SUV and AMG’ 2012 sales strategy, building on the success last year. 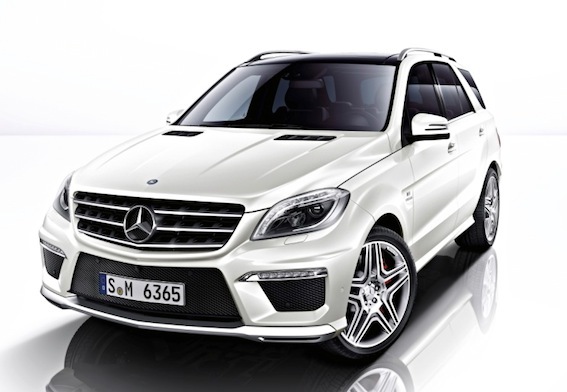 SUV sales increased 25% over July 2011, led by 50% month on month (MOM) growth from the newly launched M-Class – pairing performance with sophistication….cool aye! I’m told the evergreen G-Class continued to assert its dominance in the segment, with 19% more customers lured by the resilient icon’s rugged charm. That’s not just it though – The fires of Affalterbach were given a high octane sales boost, with July sales for the precision Mercedes-AMG performance division turbo charged by 178% over the same month last year. Feeding the flames of Affalterbach’s success was an astronomical increase in demand for the bi-turbo AMG version of the fashionable CLS 63 AMG four door coupé… I need to make time to check this one out! The beast in a business suit (E 63 AMG executive saloon) increased 20% YTD, with five times more people buying the newly launched 0-100km/h in 4.7sec ML 63 AMG. Still refusing to rest on its laurels, the relentless success of the G 55 AMG grew sales 65% MOM, together with its newly launched G 63 AMG and G 65 AMG variants. I can just see the Merc team looking at Frank Bernthaler, Director, Sales and Marketing, Mercedes-Benz Cars, Middle East & Levant for a night out as reward. Now I wonder if I can get some tips and pointers from the Mercedes Benz team in reaching the right premium audience for our products and exhibitions.